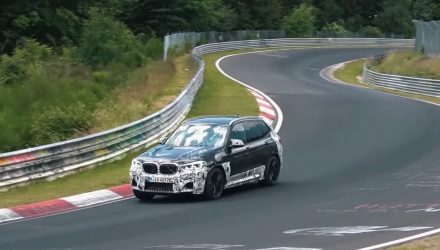 BMW has been spotted test driving a prototype version of the 2019 BMW X5 M out on the Nurburgring in Germany. 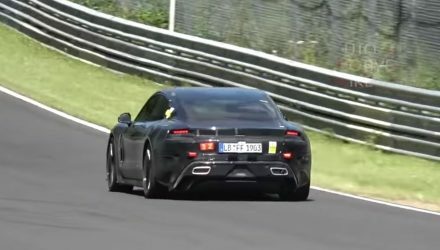 And it looks like the driver is pushing pretty hard to ensure the new model lives up to its performance pedigree. The next X5 M is expected to come with the same – or similar – 4.4-litre twin-turbo V8 as featured in the latest M5. In that the unit produces 441kW and 750Nm, or up to 460kW in the case of the M5 Competition. These outputs could be carried across the the super SUV, making it one of the most powerful in the class. In its current form the X5 M uses the same 4.4-litre twin-turbo V8, only it comes in the outgoing M5’s tune producing 423kW and 750Nm. It can accelerate from 0-100km/h in a claimed 4.2 seconds. With more power, we could see this time tumble to below the 4.0 seconds mark. Also helping with performance, BMW switched to the CLAR architecture for the next-gen X5. This platform debuted under the latest 7 Series, and has since been implemented for the 5 Series and the new X3. 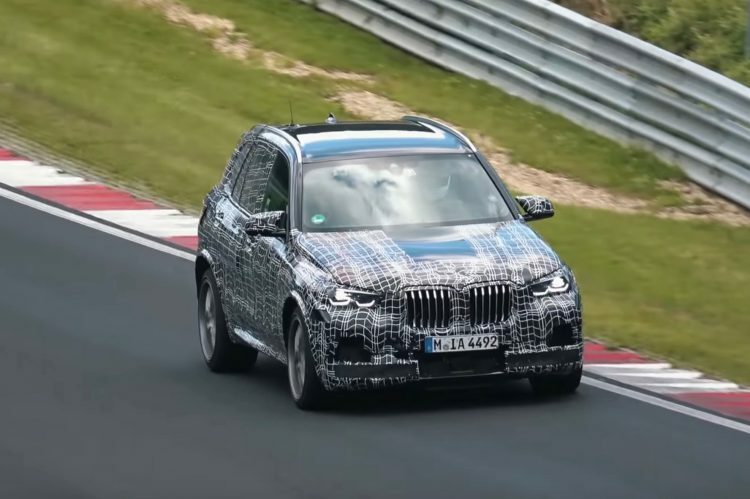 For the X5 M, weight is likely to be reduced or at least optimised, potentially resulting in a lower kerb weight compared with the current X5 M’s 2275kg mass. Along with optimised weight, the X5 M’s driving dynamics are expected to be improved thanks to the CLAR platform. We should anticipate a nicer turn-in feel, better traction and grip, and improved braking performance. The centre of gravity might also drop, helping to provided increased cornering speed potential. BMW revealed the new X5 earlier this year, bringing in increased overall dimensions and interior space, while introducing some fresh digital screens for the dash. 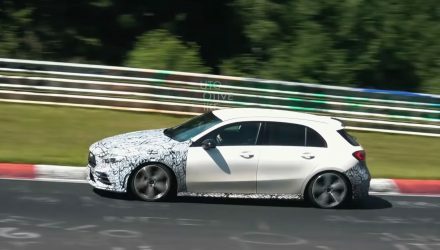 There’s also some new technologies including clever parking systems and cameras and further connectivity options. 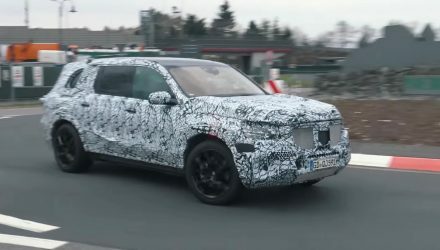 The regular 2019 X5 launches later this year, with this X5 M expected to launch some time next year. A public debut might take place later this year, maybe even at the Paris motor show in October. Check out the spy video below for a preview, courtesy of Automotive Mike YouTube channel.